Like live wallpapers? You'll find a couple of interesting new ones pre-loaded on the Samsung Galaxy S III, and we shot some video of them during our recent time with the phone. 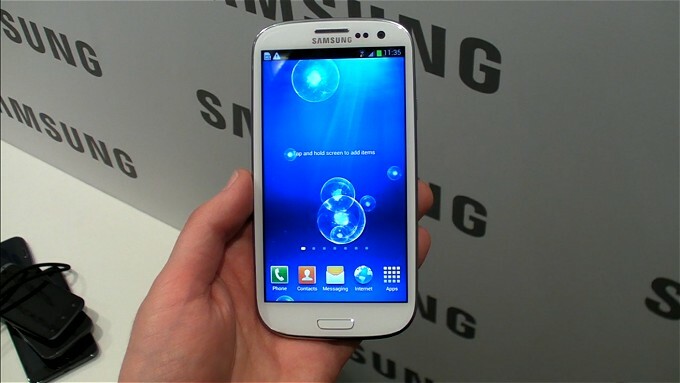 In addition to the standard ICS live wallpapers like "Bubbles" and "Phase beam", the Galaxy S III features a re-vamped version of Samsung's "Deep Sea" animation, and a new one called "Luminous Dots," which is a bit more subtle. We should also mention that there's no slowdown when you're using a live wallpaper on the S III. The launcher handles all the background animations without breaking a sweat, which is impressive when you consider that many Android phones continue to struggle with live wallpapers. Or if you prefer the static kind of background, the Galaxy S III's got those too. Check past the break for a quick video demo of both.